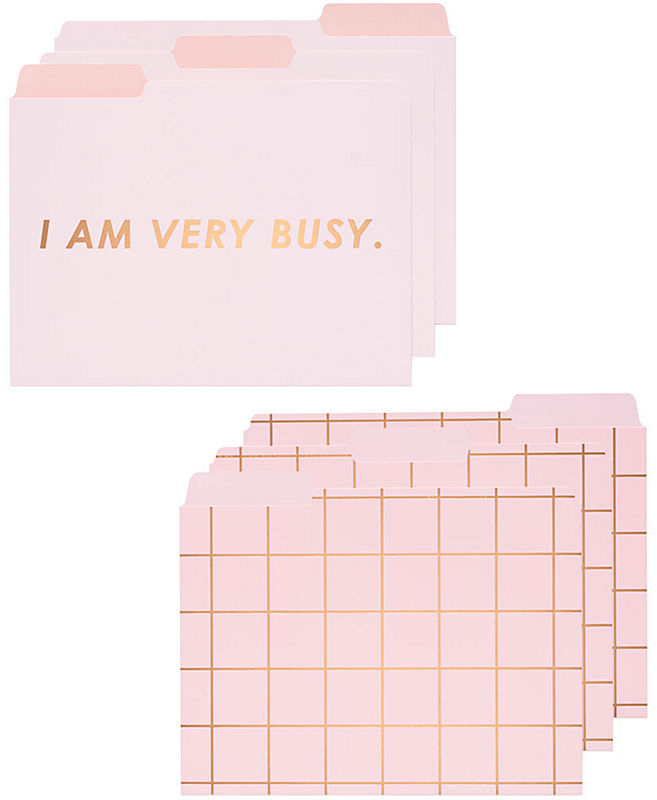 Let people know your time is valuable with this set of six I Am Very Busy Pink File Folders featuring rose gold metallic accents and a hint of sass. Includes three each of two styles, plus fun pre-printed and blank labels and a very important question printed on the inside of each folder. $14.95. Buy here. 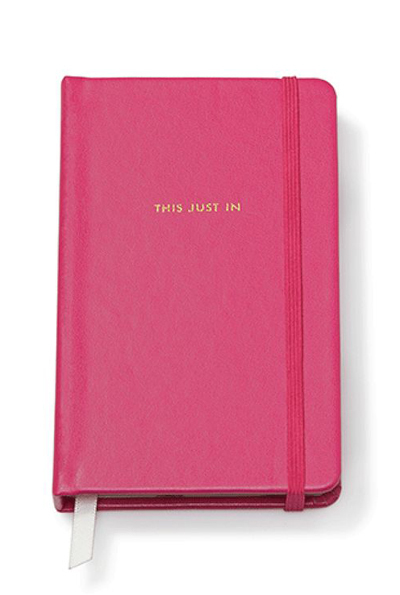 Carry this quippy pink Kate Spade New York Notebook around to jot down all your best ideas. Features 168 lined pages, leatherette cover and gold-foil accents. $18. Buy here. 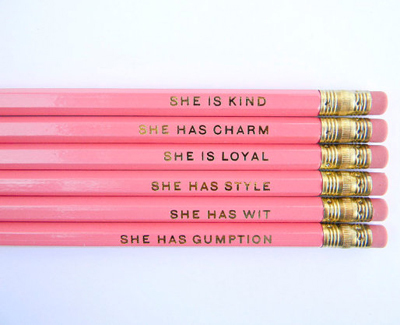 This She Is… Pink Pencil Set includes six charming and colorful wood pencils printed in subtle gold with darling quotes. Makes the perfect favor, gift, or desk accessory. $12. Buy here.